I’m sharing this blog especially because I found so little online to let me know whether what I was going through was normal or not. Even the professionals didn’t seem to know. I fell pregnant in August last year. 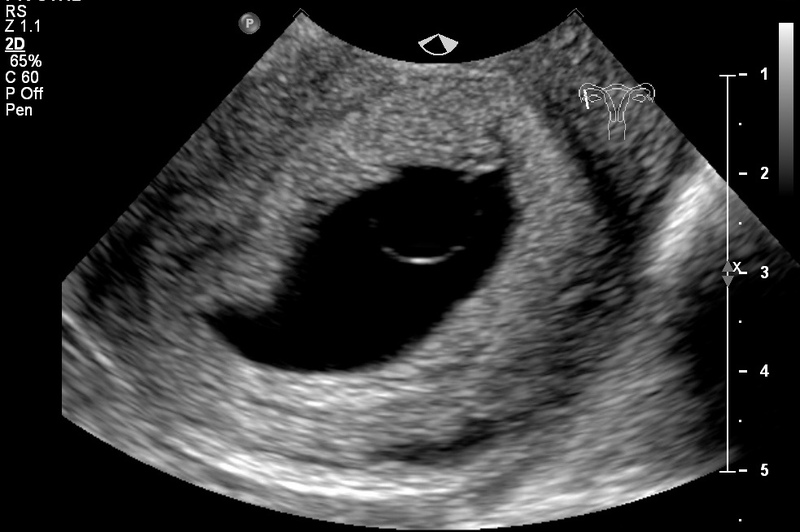 It was a bit of a surprise, but followed by the usual sense of excitement and the warm, fuzzy feeling that there was a little baked bean, slowly developing into a person inside my womb. This pregnancy felt different. Slightly heightened sense of smell, but not nearly as much as with the girls. No real cravings or being off food. No severe fatigue. In fact, I found myself wondering if I really was pregnant. But of course I was…I had no periods – it was just an even easier pregnancy than with my girls – maybe it was boy? My body was going through changes. I was beginning to get a bit chubby and my breasts were feeling tender. At 12 weeks I started bleeding. Just spotting on and off at first. I panicked for the first little while as I’d never spotted with the girls. Then I, of course, googled ‘spotting’ and found that it was perfectly common and not necessarily a sign that anything was wrong. I was due to see the midwife a couple of days later for the first time (much more relaxed this time around). When I did see her, I filled out all the paperwork, and almost forgot to mention the spotting. She did look slightly concerned when I told her that sometimes I just didn’t feel pregnant. I was due for a dating scan which she hurried up so they could make sure everything was ok. She reassured me that spotting was quite common. A couple of days later we went for a scan. I was still spotting…bleeding even by then, like a light period. I felt worried. I remembered reading about false pregnancies and wondered whether I was that crazy to imagine a pregnancy. It wasn’t like we had problems falling pregnant or anything, so why would I trick myself into thinking I was? We all went into the room where they do the ultrasound scans. The two ladies were lovely and explained that if they couldn’t see enough with an external scan, they may have to do an internal one. The moment they passed the scanner over my tummy, I KNEW something was not right. I could see the sac, but no baby. They confirmed my suspicions by asking to do an internal scan (completely painless and not uncomfortable, by the way). Steven gripped my hand and Erin stroked my arm. Steven had seen the empty sac too, and Erin just seemed to know something was not right. They then explained that I had an anembryonic (meaning ‘without embryo’ and also called ‘blighted ovum’) pregnancy. It is where the sac forms, grows, and either the baby forms and dies really early and is reabsorbed, or the baby never even forms. A ‘quirk of nature’ the sonographer said, something that was not quite understood and there was no pattern, as in it doesn’t run in families or can’t be predicted. I was not imagining a pregnancy, however. Phew! Up until 12 weeks, hormones are responsible for the early development of the baby, at around 12 weeks the placenta takes over. It was at this stage my body had realised that there wasn’t a baby to feed, and I started bleeding. They measured the sac and confirmed that I would have been about 12 weeks. I can’t help wondering if it was something to do with the dental scan I had before I knew I was pregnant – my dentist doesn’t have a lead apron(Please ALWAYS insist on one, pregnant or not!!) Miscarriages are on the increase since the disaster in Japan, and we are all exposed to more radiation than we should be. I then had the emotions to deal with. While my pregnancy felt different and I almost didn’t feel pregnant, I still fully believed I was…as did my body up until that point. I felt like my body had failed me, even though I pride myself on being pretty healthy. I also felt like I wasn’t justified in feeling sad, as there’d perhaps never even been a baby anyway. It was a very strange feeling to be having a miscarriage but not actually losing a baby. Anyhow, I’m a great believer in mother nature knowing best, and although I was sad I also felt that there was a reason…in that maybe something would have been awfully wrong otherwise, and perhaps the timing wasn’t quite right. Ayla was only 14 months and still very attached to me and breastfeeding loads. It was only when a friend, without thinking – I’m sure, said something insensitive about it, that I realised that actually I was going through exactly what any woman who had a miscarriage went through – emotionally, at least. I also strongly feel that my emotions were completely valid, and it was important for me to see them through and not just brush them aside. Which was another reason for letting nature do it’s thing. This died down by evening, and then at lunch time for the next 2 days I started labour pains again and had a repeat of that afternoon. After this it started to settle down, and I thought yippee…I could look forward to it starting to all calm down. However, bleeding would get less for a couple of days and then I’d pass some more clots and bleed loads again. Since I was still within 2 weeks, I didn’t worry too much. Miscarrying at 12 weeks means the sac is much bigger then if you miscarry at say 8 weeks, so it made sense that I’d be bleeding quite a lot. However this pattern continued and after bleeding for 4 weeks I got in touch with the emergency gynae unit at Treliske Hospital. I went in for another scan and test for infection, which confirmed that I still had retained tissues. They didn’t recommend that I have a D&C (which I think I would have gone for at this stage although I didn’t think to ask for it). They did, however, dish out antibiotics – in case of infection. I said that I’d rather not take the antibiotics until they could confirm an infection. They promised to let me know within the next couple of days. I heard nothing and when I called repeatedly, nobody could really even confirm who I was or where my test results were. With the bleeding getting less again, I thought maybe my body had naturally got rid of the retained tissues. And then it got bad again. Still nothing from the emergency gynae unit. I thought that the blood I was losing was what was already in my uterus. What I didn’t know at the time, was that your body creates these bleeds in order to get rid of the retained tissue. Seven weeks after I first started bleeding, Steven had taken the Erin to school and was spending the day in Helston with Ayla. I started bleeding REALLY heavily again, and still passing quite big clots. I was stuck on the toilet…everytime I got up I’d just bleed through pad and clothes again. I started to feel really dizzy. So, my advice to anyone in a similar situation…I think it is great to let things happen naturally. It gives you time to process the miscarriage emotionally and physically, and I am not sorry I made this choice. However, if you are still bleeding heavily 3 weeks later, I would personally ask for a D&C. I would have preferred a local anesthetic, but didn’t have a choice in the end. GA’s really take their toll on your body! I hope this is helpful information for others out there, and sorry it is so longwinded!